Another Shamrock gets in Fighting Insider's list of MMA fighter. Give way to Frank Shamrock! Frank Shamrock was born as Frank Alisio Juarez III on December 8, 1972. He was first to hold the UFC Middleweight Championship, which was later renamed to Light Heavyweight Championship. He also holds numerous titles like the interim King of Pancrase title, WEC Light Heavyweight championship, and Strikeforce Middleweight championship. At a tender age of 12, Frank Shamrock was transferred from one foster house to another, and had a few run-ins with the law enforcement. He eventually went to live with Bob Shamrock in Susanville, California. Then at the age of 21, he was officially adopted by Bob Shamrock. 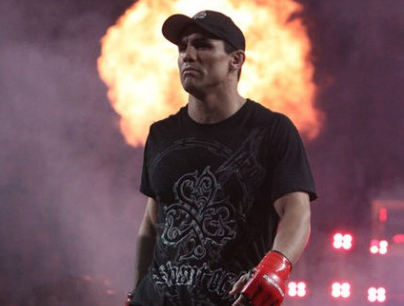 Frank Shamrock started as a fan of MMA when his elder foster brother – Ken Shamrock – used to train him in submission fighting. He also accompanied his brother to UFC bouts, wherein he grew to love the sport. Then on December 16, 1994, Frank Shamrock debuted at the King of Pancrase tournament. Though he came in as an underdog, Frank Shamrock was able to defeat Bas Rutten. Unfortunately, he was submitted by Manabu Yamada later that same night. Frank Shamrock retired as an undefeated four-time defending champion.